For those of you trying to beat the absolutely discouraging and frustrating ups and downs of acne – this one’s for you. Because let’s be honest, skincare is *hard,* especially when you’re doing everything you can possibly think of to clear acting-up-skin and it’s just simply not working. I get it – it’s exhausting and discouraging; especially hanging with friends with beautiful skin, staring at girls on social media who *seem* flawless (don’t believe everything you see, it’s an app called facetune or a skin-clear filter! ), and then picking at new pimples is your first to-do in the morning and last checklist at night. Clearing skin during high school and college was a big struggle for this girl; i.e., me. 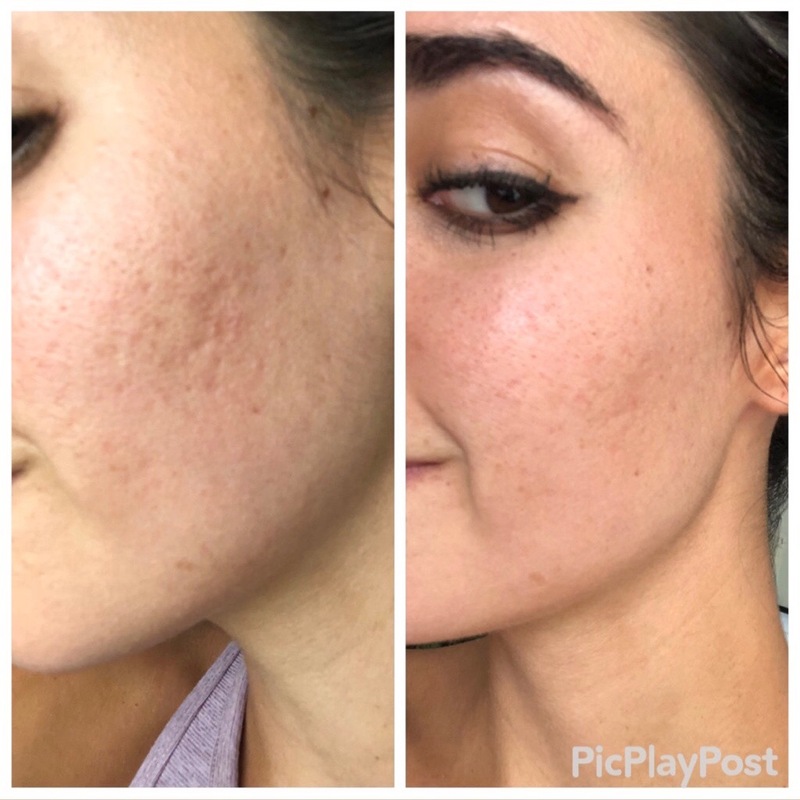 My biggest issue with skin was that I wanted help, needed help with clearing acne; but didn’t know where to go other than my dermatologist or a nearby CVS – and that never helped either. A lot of you know about my skincare journey, where I successfully squashed acne with the help of a holistic doctor and Tula. I started using Tula about two years ago, and at the same time I also started to see a holistic doctor and change my diet, lifestyle, and more (read more here). The result? My skin started to clear and I began to see the space differently. The minute I saw a huge and glowing difference in my skin after using Tula, I was 100% sold, smitten and convinced. don’t forget: you can always use code: JESSI for 20% off your entire Tula purchase. The crazy part about (loyally and authentically) standing by Tula all these years is that all this time – we’ve been chatting about clearing skin, yet they hadn’t yet launched an acne-clearing product. Even without the acne clearing gel, the Tula products were working wonders for my skin. So for those of you who are still squashing acne – this one’s for you. I told the brand firmly that I would not post about this product until I tried it – so you betchya I did. I tend to get small breakouts around the time of my cycle every single month (now that I don’t break out as much anymore) – so naturally the minute a pimple popped out, I tried the Acne Clearing Gel. The next morning? Gone. With small little nuggets like the ones I get around my period – they don’t go away quickly; so I was pleasantly surprised each time they’ve quickly gone away. The reason why this product is the bomb? It’s incredibly hard to find acne products without alcohol in them – and you got it: the Tula acne clearing gel is alcohol free. Second, it hasn’t launched yet – so you my friend (The Darling Detail readers) get an in before the rest of the public shops it. What’s in the TULA acne-clearing gel? Check out the acne-squashing package bundle ($95 – way cheaper as a bundle!). Use code: JESSI for 20% off your entire Tula purchase. Now, I don’t have super deep acne anymore; but I did from ages somewhere around 16-22 and have been through the ups and downs of deeper acne issues. Here I’ve included a picture of my acne scars (this was a before-and-after acne photo since doing micro needling – in case you’re interested in post-acne treatment), just to show you girls that acne is something that’s super near and dear to my heart–a battle that I have compassion for and one I’ll continue to talk about and try do my best to help other girls with. My take on the issue? The above is a quick an easy routine to fight acne. If you’re looking for more Tula products I swear by: two other favorites are The pH balancing & resurfacing gel (it’s a toner; I swear by it) and the day & night moisturizer (so cozy, cool, blankety feel on your skin; you can use this instead of the aqua infusion gel cream above). I think I’ll love this. I could use this range right now! Great post! I’ve never tried Tula before but is sounds amazing, especially since I’m in the same boat as you. I’m curious if you’ve ever tried any Drunk Elephant products?